Marking time is a military step in which soldiers march in place, moving their legs as in marching, but without stepping forward. Marking time seems to be a description of grief to me. Throughout the year I feel like I have marched along but then November comes, and I discover I have the same feelings all over again. My legs are moving but my heart is standing still. This week the chill of fall finally arrived in the central valley. The shorter days and colder nights transform the orchards and vineyards that surround us into a wonderful palette of yellow, orange, and red. In time, the beauty of fall will usher in the darkness of winter. So it is with my grief. My heart knows before the chill arrives. November is the month of Scott’s birth. How he transformed our home with his presence; his laughter; his passion. I went into labor at the Thanksgiving table thirty-seven years ago, forever linking Scott’s birthday to that holiday. Yet, as the physical world around me is painted in the most beautiful of hues today, I know. I know that just as the yellow, orange, and red leaves will drop from their branches, and take their place on the frozen ground of winter, so too my heart will enter its own winter. 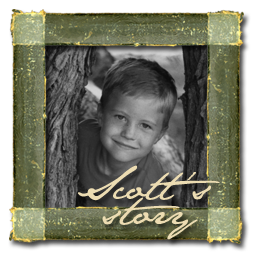 For in just ten weeks my heart goes from the joy of Scott’s birth to the sorrow of his death. For many years after Scott’s death I fought this season. I did not want to feel the chill of shutting down his life, again and again. I soon realized that there was no use fighting this season. It was no more realistic than for the farmers in this valley to expect a harvest from a barren tree. As we submit to the blast of winter we must submit to our grief. So, here I go. Marking time again as November 23 comes next week, followed by his empty chair at holidays, and the anniversary of his passing. Once again feeling as if my legs are marching but my heart is standing still. In reality, friends, my heart is simply embracing what was and recognizing what is. My heart will once again come through the winter of my grief to focus on what is to be; a glorious reunion for all of eternity.